The Vape Shop is a member of the Federation of Small Businesses which is the UK’s leading business organisation. The FSB is non-profit making and non-party political. The Federation of Small Businesses is the UK's largest campaigning pressure group promoting and protecting the interests of the self-employed and owners of small firms. The Vape Shop operates an ethical and professional business guided by strict quality and service principles. 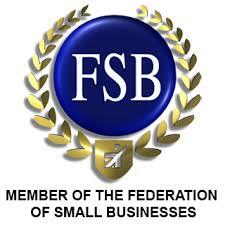 Our membership in the FSB is another benchmark in our successful growth within the electronic cigarette industry.